I got this recipe from last month’s Delicious magazine. I used a long tin of about 8cm by 30cm, cos I wanted that sort of shape. I lined it in baking parchment (tip: scrunch up the paper first, then flatten it out so it lays flat more easily, this also gives the After Eight an authentic looking side to it, all crinkly). I melted some dark chocolate. I used about 100g for the bottom and 100g for the top (I’ll put the whole recipe, as I used it, below) I used 70% but actually you could easily go higher – and definitely no lower. 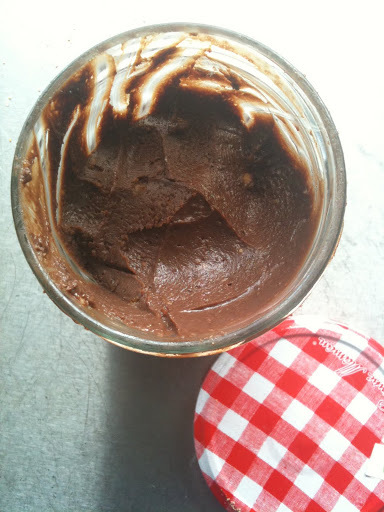 It’s important to get the chocolate spread thinly. Thick sounds good but in reality this means you end up with chocolate that’s hard to crack and you want it thin. Don’t sweat it though because unless you’re an idiot you still end up with a great end product. 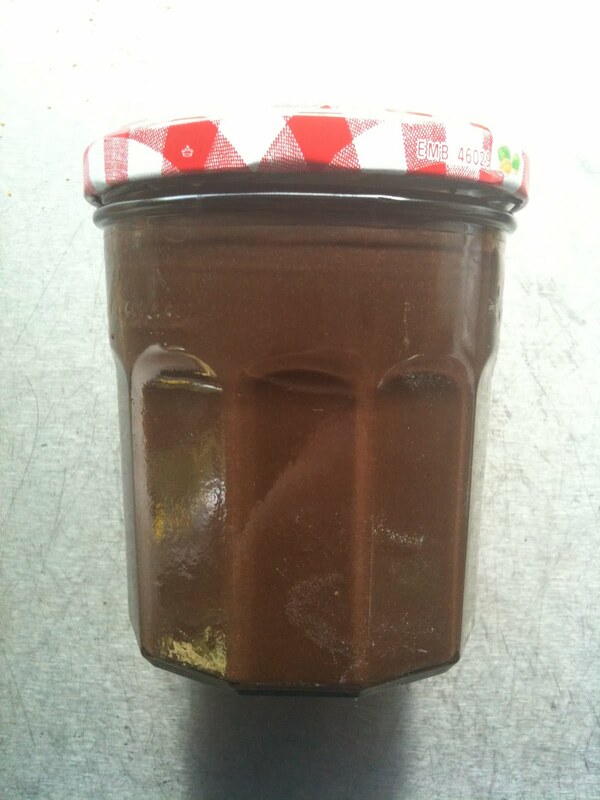 Pour/spread the chocolate for the bottom (so, 100g) on the bottom of the tin – refrigerate. Chocolate takes almost no time at all to set. Mine took what seemed like 10 mins. It should be hard and crisp. Make the fondant bit. 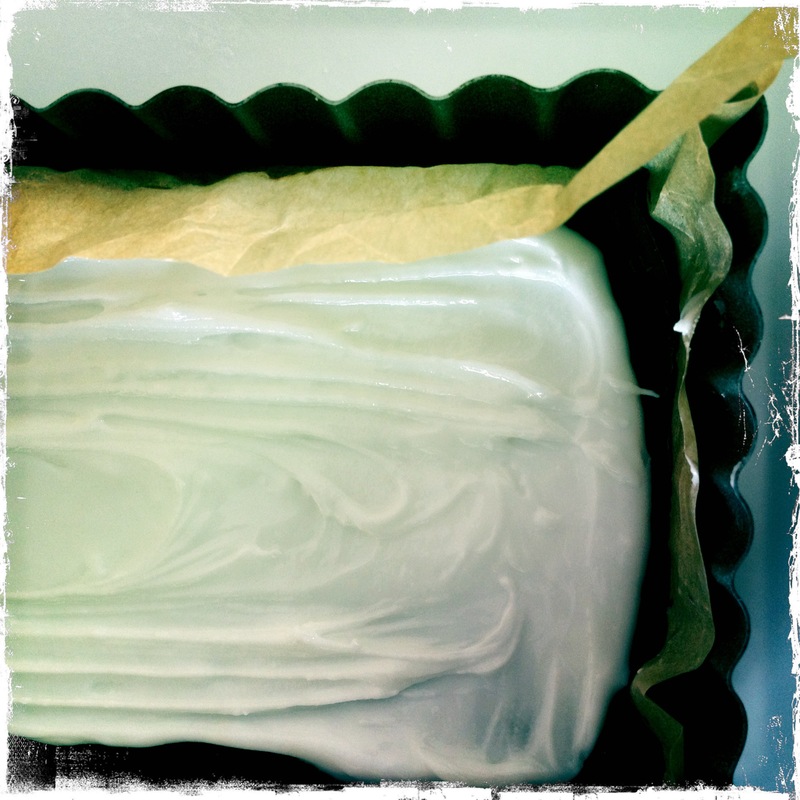 I used one egg white and 220g icing sugar plus of course the all important peppermint essence. Just in case your fondant is really stiff add a tiny bit of water. Go easy as you don’t want to add too much. This is a suitable juncture to point out that this product contains raw egg whites so you know, don’t eat if you’re old/young/pregnant/prone to hysteria. Mix the egg white and icing sugar together (sieve the icing sugar in) until you have a consistency that you like. Add a teaspoon of peppermint extract. Note that refrigerating it doesn’t really thicken it up much so aim for what you want the finished filling to be like, not what you hope it will turn into. To this end you may wish to add the egg white bit by bit. (I never have to as my eggs are laid by my chickens, so not giant). I end up with really thick fondant that’s a great consistency for what it needs to do. When ready, spread over the base layer of chocolate and refrigerate for an hour or two. 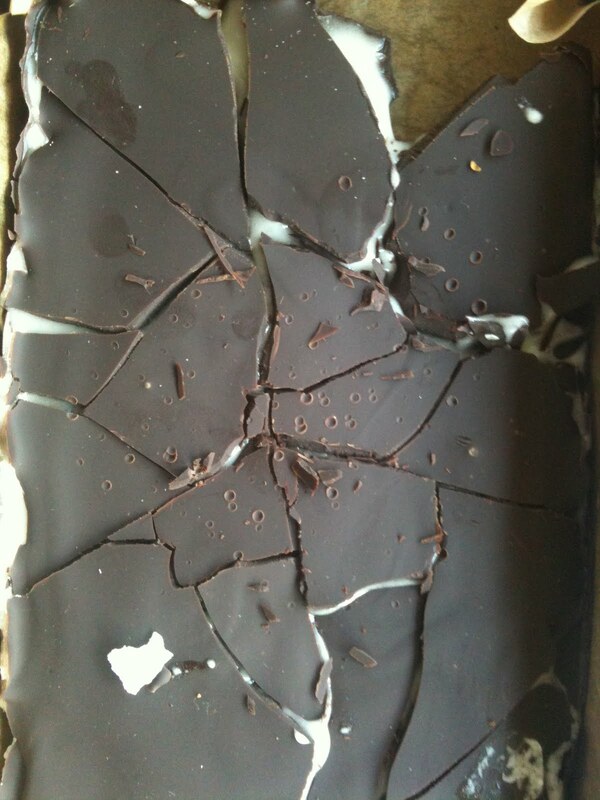 Now melt more chocolate and spread it gently over the top – don’t drag it or you’ll end up with a mess. Refrigerate and when ready to eat bring it out and smash it up with a hammer (but so you get big pieces, not lots of little ones) and let people help themselves. The circles on mine (if you look closely) are from the meat tenderizer I used. I’m sure finer folk have a toffee hammer or some such. DON’T bash it with a large thing like a rolling pin, you want to shatter it into shards, not smash it into a mess of tiny pieces. You can cut this into squares, but they won’t be really neat. Or at least, mine weren’t. And I do think it’s fun to break it up yourself and eat shards of it. Scoff after your meal with a strong espresso. 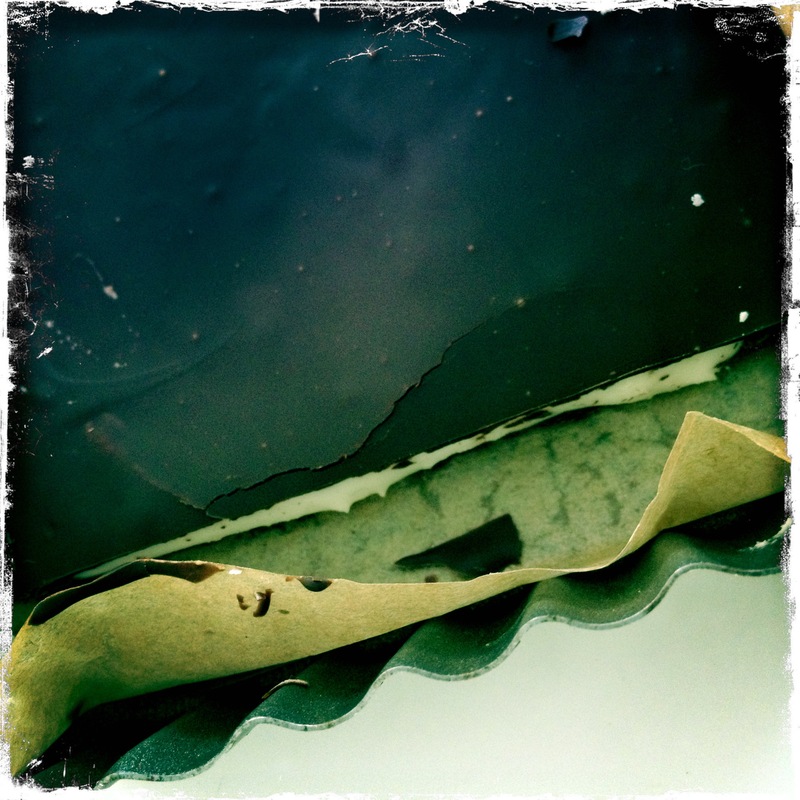 This entry was posted in Celebration, Chocolate, Christmas, Parties, Presents and tagged giant after eight mint, mint chocolate on May 2, 2011 by Annalisa Barbieri.